LOUISVILLE, Ky. — Aug. 9, 2013 — (NYSE: GE) —Today, GE Appliances leaders, joined by Georgia Gov. Nathan Deal and Sen. Johnny Isakson, cut the ribbon on the new plant expansion at GE’s cooking products plant in LaFayette, Ga.* The expansion accommodates a new 1,100 ton power press that will enable the plant to increase its metal fabrication capability as part of a program to insource metal parts to support the manufacturing of a new line of wall ovens. 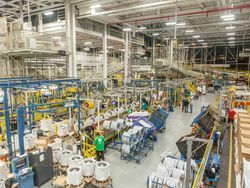 Insourcing and new product production have led to the creation of 90 new jobs at the LaFayette plant. GE Appliances invested $88 million to support the new line of GE wall ovens and to update the freestanding range products manufactured at the plant, all of which will feature new styling and appearance. 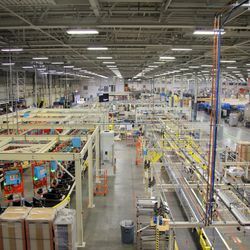 The investment is part of a $1 billion investment GE Appliances is making to revitalize its U.S. plants, products and services. So far, the $1 billion investment has created over 3,000 jobs. 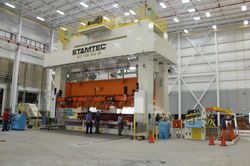 The plant expansion accommodates a new 1,100 ton power press that will enable the plant to increase its metal fabrication capability as part of a program to insource metal parts to support the manufacturing of a new line of wall ovens. “GE's investment has had a positive impact on the LaFayette economy. We employed more than 40 local companies in our expansion project. The community and our employees can be proud of the innovative, new products built in LaFayette. 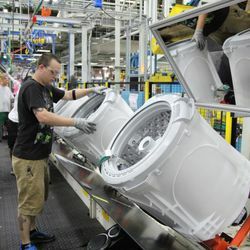 They will delight consumers across the nation,” said GE Appliances President and CEO Chip Blankenship. 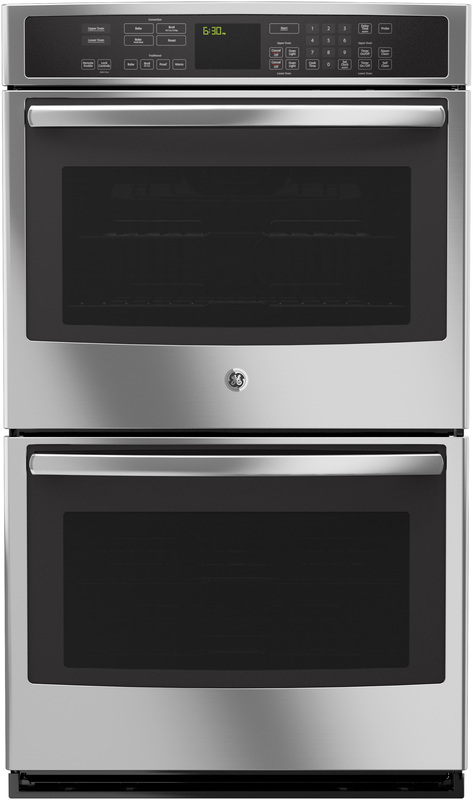 GE’s new Profile wall ovens feature the latest cooking technology—True European Convection with Direct Air. ** New vents on the top of the oven cavity—an industry first in full-size ovens—focus air directly on the food, providing significantly increased air flow and great cooking performance. They can preheat, set the timer, change the temperature or cooking function, and check cooking status while managing other household activities. The current feature allows control via mobile app from within the home or yard, and a remote option will be available as an upgrade at a later date. The wall ovens retail for an MSRP of $999 – $3,599. ***** Models are available in black, white and stainless finishes. GE models are available in single- and double-oven configurations in both 30 and 27 inches. **True European Convection with Direct Air only available on 30-inch models. ***Requires the GE Brillion iPhone® or Android™ app for smartphones or tablets. Available for free from iTunes® and the Google Play store. iPhone and iTunes are registered trademarks of Apple Inc. © 2012 Google Inc. All rights reserved. Android is a trademark of Google Inc.
**** Install base of Whirlpool, Jenn-air, Maytag, KitchenAid, GE and Kenmore is determined by historical share data from Traqline. Maytag models from 2005 to current; assumes install followed recommended installation guidelines. Kenmore models from 1993-2005; assumes install followed recommended installation guidelines. *****Retailers set their own prices. GE's new wall ovens, made in LaFayette, Ga., include Direct Air convection technology and Wi-Fi connectivity, which gives you the freedom to control your meal without being in the kitchen. Roper plant in LaFayette, Ga.